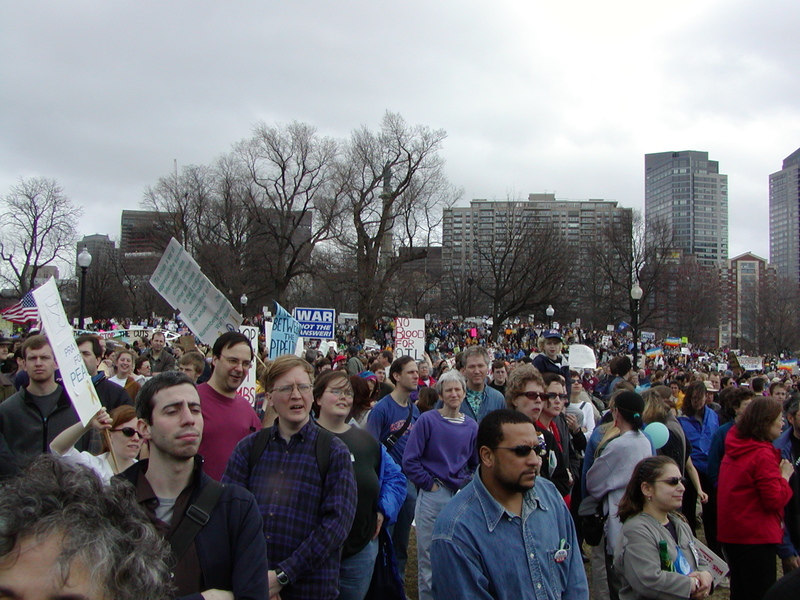 Char, Henry, and I went to the antiwar rally in Boston on Saturday. The weather was strange — it looked like rain, but never really did. It would start misting suddenly, and then stop. The rally itself was large, 25-50 thousand by various estimates. The speakers weren’t especially high quality. I was hoping for something eloquent and interesting, more than just "impeach bush." There was a group of women with husband’s in Iraq against the war, they were a good group. Otherwise there were too many highschool kids giving speeches. That’s not to say I regret going. It was good to be there, to show that just because the war has started there are many people who want it stopped. 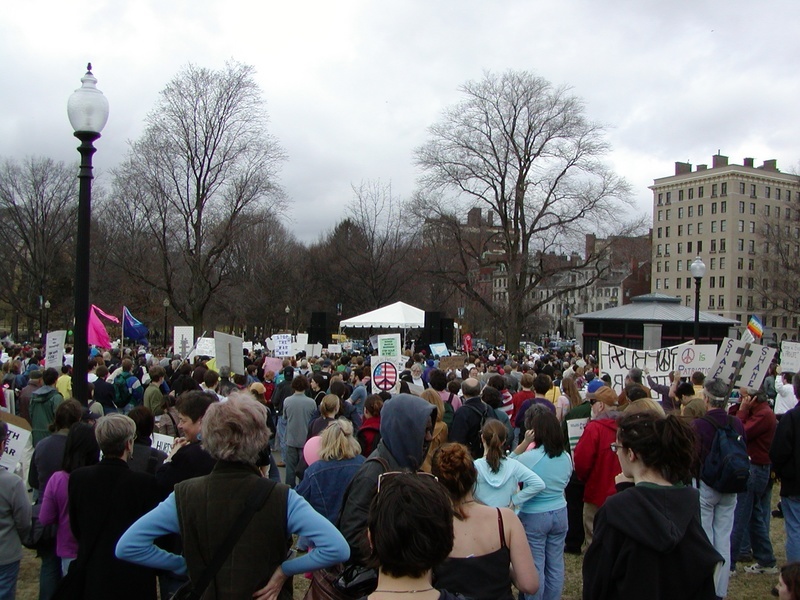 And it was good to hear them reinforce "anti-war does not mean anti-troop." 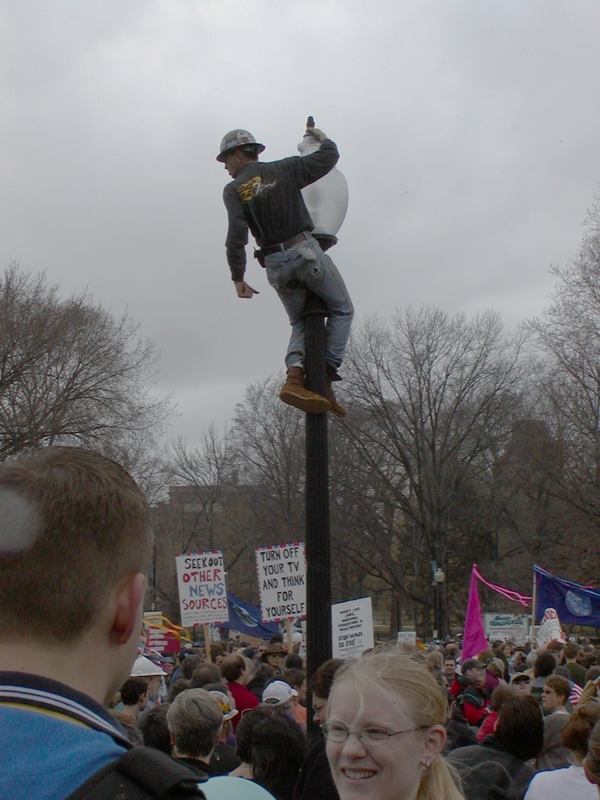 This Boston Globe article mentions a man who climbed on top of a light pole at the rally. He shouted a bunch of pro-war garbage which I couldn’t hear. I said, "I hope he falls off", and soon enough he fell off the pole. He seemed unhurt. After the rally there was a march, which we didn’t do. I feel a little bad for skipping out on it, but we had done our part. We went and got Chinese food in Chinatown. Yummy and cheap!